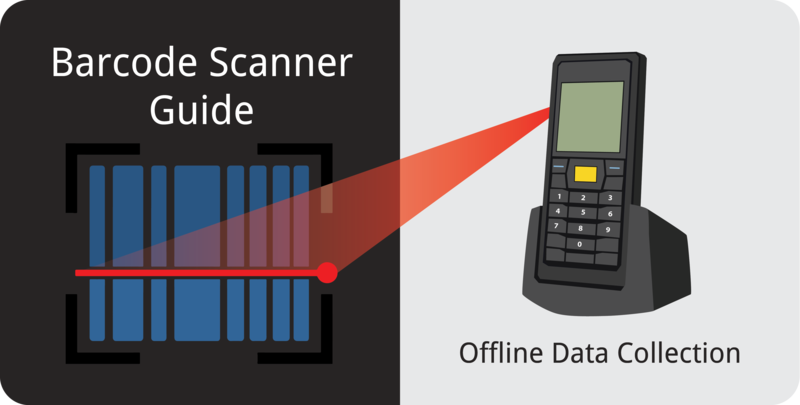 An offline data collection barcode scanner collects and stores data in its internal memory. Once placed on a docking station, these scanners can transmit the collected data to an inventory system. Offline data collection scanners come in a variety of forms. The most common style for these scanners is wireless and handheld. In addition to basic offline data collection devices, there are more advanced scanners. With moderate pricing, offline data collection scanners cost anywhere between $500 – $750. In terms of value, you are getting a lot for a relatively low price. These scanners are reputable for being highly portable, long lasting, and good quality. These scanners are ideal for work environments that lack established or reliable wireless internet connection. They give companies the flexibility of mobile barcode scanning without the set up of a wireless network. Workers are able to scan items in batches or throughout a shift. Later, when they dock the device it will upload all collected data. Offline data collection scanners come in various styles with different levels of functionality. For example, some offline scanners offer high durability and weather resistance. Others might focus on user experience with a display screen. So, if you require offline scanning be sure to research different scanner options to see what meets your functionality needs. Offline data collection scanners are unable to collect data in real-time since they don’t have a wireless connection. As a result, there will be a data time lag, and will not always have accurate current stock levels. However, this may not be as relevant to you. Depending on docking frequency, inventory turnover, and amount of on-hand stock, this may not matter. Lastly, these devices can only push info to your inventory system. These barcode scanners mainly operate independently from your inventory system. This means employees are not able to look up items in the system, or make any changes to inputs until they dock the scanner. This post has been the last in our Barcode Scanner Guide series. The links to the previous articles in the series are posted below. If you are interested in learning more about barcode scanning for inventory management, click here to go to the Clear Spider webpage. Are you equipped to manage your returns effectively?